You're a Java developer, but how comfortable are you and your team with using Docker? How many hours have you logged setting up an accurate test environment to research and fix bugs in production? Docker is a developer-friendly container technology that enables the easy creation of an application stack from the operating system through to an application and server. This technology also offers Package Once Deploy Anywhere (PODA) and complements Write Once Run Anywhere (WORA) provided by Java, further eroding the barriers between development, testing, and production. Join Java Champion, JavaOne Rockstar, and Couchbase's VP of Developer Advocacy Arun Gupta to discover how to package, deploy, and scale Java applications using Docker. You'll be introduced to Docker Compose to scale applications and databases, and you'll even learn how to get started integrating Docker with popular Java tooling, such as Eclipse and Maven. 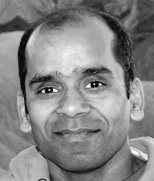 Arun Gupta is VP of Developer Advocacy at Couchbase. He spent several years building and coaching middleware applications at Sun Microsystems and Oracle. He is a highly sought-after international speaker and JavaOne Rockstar who has given presentations in over 40 countries on numerous topics. He is also a founding member of Devoxx4Kids USA, where he oversees the organization's operations and ensures it stays true to its mission of promoting technology education amongst kids. A best-selling author, avid runner, globe trotter, Java Champion, and Silicon Valley JUG leader, he is easily accessible on Twitter at @arungupta.